Abstract: It is 18 June 2015 today, one day tremendously important and historic to Airwheel. 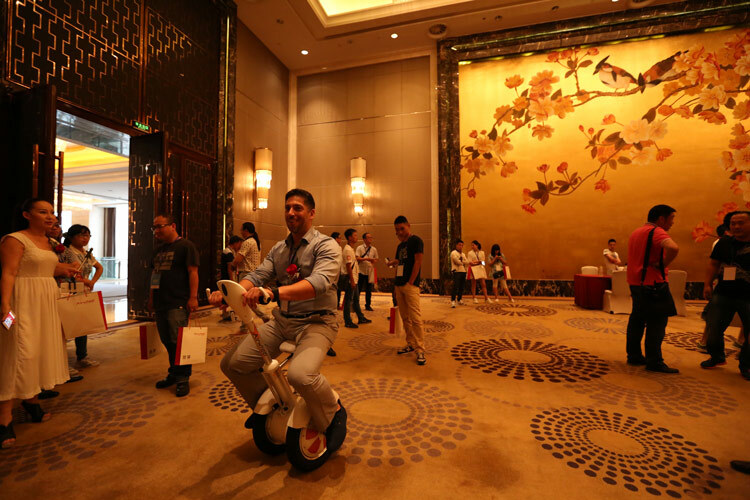 On this day, Airwheel self balancing electric scooter convened its 2015 New Product Release Conference at Sheraton Changzhou Wanda Hotel. In this pompous event, two innovative and original models were rolled out-A3 and S5. It is 18 June 2015 today, one day tremendously important and historic to Airwheel. On this day, Airwheel convened its 2015 New Product Release Conference at Sheraton Changzhou Wanda Hotel, Changzhou City, Jiangsu Province. Myriads of scooter-lovers, customers, guests from all walks of life came together for this long-anticipated event. 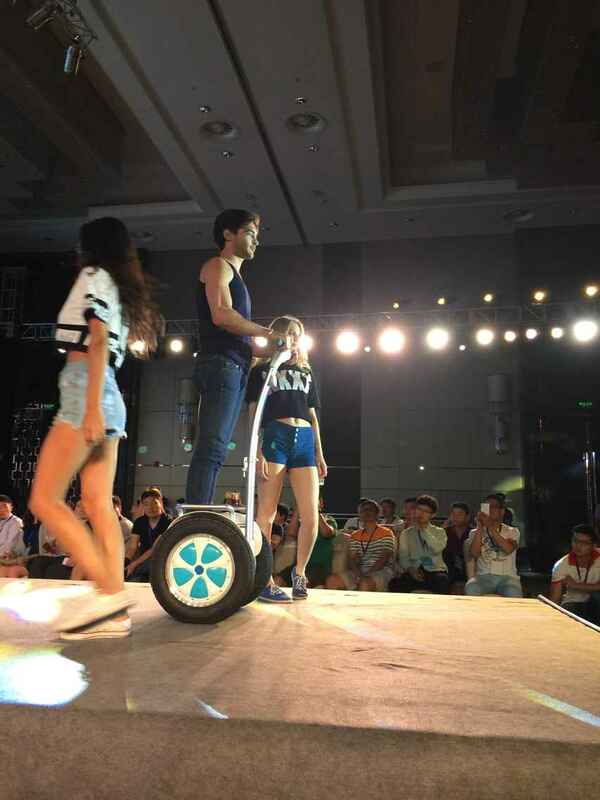 In this pompous event, two innovative and original models were rolled out: A3 and Airwheel S5. In the beginning of the New Product Release Conference, Mr Zuo, the founder of Airwheel, commenced the event with a hilarious joke-Are you OK? This joke seemed to set the cheerful and easy-going tone for the whole event. When Mr Zuo referred to the roaring successes and achievements Airwheel has gained over last years. This goes to prove that the previous made efforts bear fruit. At the same time, Mr Zuo stressed, these successes and honours went hand in hand with the supports from every loyal scooter lover and distributor. It was through feedback and experience from users that Airwheel has accomplished such enormous success and healthy sales volume in the last year. The staple of this event was the appearance of new products, E.T. A3 and S5, which were the highlight of the whole conference. Airwheel A3 belongs to a new brand series, which ambitiously aspired to usher in a new era of new riding in the future. With the ostrich-like design diametrically different from any previous model, E.T. A3 is characterised mainly by its comfortable saddle and its long control lever. Another model appeared, S5, was a refined and upgraded version of S3. S5 inherits the same framework from S3, however, there are some refinements and upgrades in performance. The off-road S5 boasts its more powerful thrust and can negotiate any harsh terrain, e.g. rugged road. The arrival of Airwheel S5 have injected new blood to S-series. At this event, S5 and A3 acted like an eye-opener to the audience. They were impatiently eager to have a go at them. If the two appeal to you, move to take a try without hesitation.